Canadian commentators often claim more Tutsi were killed in the genocide than lived in Rwanda. Since it aligns with Washington, London and Kigali’s interests, as well as liberal nationalist Canadian ideology, the statistical inflation passes with little comment. Even self-declared experts on the subject cite these outlandish statistics. With ties to the regime in Kigali, Caplan pulled this number out of thin air. It’s improbable there were a million Tutsi in Rwanda in 1994 and no one believes every single Tutsi was killed. While the exact figure is unknown and somewhat contested, Rwanda’s 1991 Census calculated 596,387 Tutsi. Initially sponsored by the International Criminal Tribunal for Rwanda, the GenoDynamics project by the Dean of the Frank Batten School of Leadership and Public Policy at the University of Virginia Allan Stam and University of Michigan political science professor Christian Davenport put the number slightly lower at 500,000. Others claim the Hutu-government of the time sought to suppress Tutsi population statistics and estimate a few hundred thousand more Rwandan Tutsi. But, a significant number of Tutsi survived the hundred days of killing. Tutsi survivors’ umbrella group IBUKA (“Remember”) initially concluded that 300,000 survived the genocidal killings, which they later increased to “nearer to 400,000”. For 800,000–1 million Tutsi to have perished there would have had to been at least 1.1 million and probably closer to 1.4 million Tutsi. That’s twice the official calculation. Notwithstanding the three examples mentioned at the top, the most commonly cited formulation of the number of deaths in 1994 is the more vague “800,000 Tutsi and moderate Hutu”. A 1999 UN report concluded, “approximately 800,000 persons were killed during the 1994 genocide in Rwanda.” As time passes, however, the regime in Kigali increases the death toll. In 2004 the Rwandan Ministry of Local Government, Community Development and Social Affairs claimed 1,074,017 died and in 2008 the government-backed Genocide Survivors Students Association of Rwanda put the number at 1,952,087. The idea there was as many, or even more, Hutu killed complicates the ‘long planned genocide’ narrative pushed by the regime in Kigali and its Anglo-Saxon backers. So does the fact that overwhelming evidence and logic points to the Rwandan Patriotic Front (RPF) as culprits for blowing up the plane of the Hutu presidents of Rwanda and Burundi, as well as much of the Hutu-led Rwandan military command, which sparked the mass killings. Washington and London’s support for the RPF, as well as Paul Kagame’s more than two-decade long control of Kigali, explains the dominance of a highly simplistic account of Rwanda’s genocide. But, a tertiary reason for the strength of the fairy tale is it aligns with the nationalist mythology of another G7 state. A wealthy, educated, population speaking the world’s two main colonial languages, Canadians have pumped out innumerable articles, books, songs, plays, poems, movies, etc. about our noble General’s effort to save Rwandans. Yet the Romeo Dallaire saviour story largely promoted by Left/liberals is based on a one-sided account of Rwanda’s tragedy. But, Melvern is a leading advocate of the Kigali sponsored fairy tale about the genocide. Drawing on Dallaire’s purported “genocide fax”, she promotes the ‘long planned genocide’ narrative. Simultaneously, Melvern ignores (or downplays) the role Uganda’s 1990 invasion, structural adjustment policies and the October 1993 assassination of the first ever Hutu president in Burundi played in the mass killing of Spring 1994. Melvern also diminishes RPF killings and their responsibility for shooting down the plane carrying Hutu President Juvénal Habyarimana and the Rwandan military high command. More significantly, a number of the UN officials involved in Rwanda — head of UNAMIR troops in Kigali Luc Marchal, intelligence officer Amadou Deme, UN Secretary General Boutros Boutros-Ghali, etc. — have challenged Dallaire’s interpretation of events, contradicted his claims or criticized his actions. Dallaire’s civilian commander on UNAMIR published a book accusing the Canadian General of bias towards the Uganda/US/Britain backed RPF. In his 2005 book Le Patron de Dallaire Parle (The Boss of Dallaire Speaks), Jacques-Roger Booh Booh, a former Cameroon foreign minister and overall head of UNAMIR, criticizes Dallaire’s actions in Rwanda and challenges his interpretation of events. While paying lip service to the complex interplay of ethnic, class and regional politics, as well as international pressures, that spurred the ‘Rwandan Genocide’, the 300-page report is premised on the unsubstantiated claim there was a high level plan by the Hutu government to kill all Tutsi. It ignores the overwhelming evidence (and logic) pointing to Paul Kagame’s RPF as the culprit in shooting down the presidential plane, which sparked the genocidal killings. It also emphasizes Dallaire’s perspective. A word search of the report finds 100 mentions of “Dallaire”, five times more than “Booh-Booh”, the overall commander of the UN mission. Rather than a compelling overview of the Rwandan tragedy, the OAU report highlights Canada’s power within international bodies. In a Walrus story Caplan described, “waiting for the flight back to Toronto, where I would do all my reading and writing” on a report “I called … ‘The Preventable Genocide’”. Partly funded by Canada, the entire initiative was instigated by US Secretary of State Madeleine Albright. 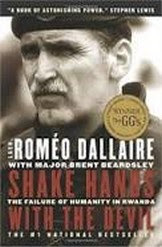 Praise for Dallaire’s role in Rwanda is based on a highly simplistic account of what transpired in 1994. In their haste to promote a Canadian saviour in Africa, left/liberals have confused international understanding of the Rwandan tragedy, which has propped up Kagame’s dictatorship and enabled his violence in the Congo. When commentators are claiming more Tutsi were killed than lived in the country it’s time to revaluate popular discussion of Rwanda’s tragedy. Max Blumenthal is an award-winning journalist and bestselling author whose articles and video documentaries have appeared in The New York Times, The Los Angeles Times, The Daily Beast, The Nation, The Guardian, The Independent Film Channel, The Huffington Post, Salon.com, Al Jazeera English and many other publications. His most recent book is Goliath: Life and Loathing in Greater Israel. His other book, Republican Gomorrah: Inside The Movement That Shattered The Party, is a New York Times and Los Angeles Times bestseller. If you are the president of the United States of America, then, as a rule, all pretense toward modesty is dispensed with. Call it American exceptionalism. After all, the US is variously self-proclaimed as the leader of the free world, the beacon on the hill, and the indispensable nation. Yet critical thinking demands on analysis of Trump’s words that is not provided by a cursory reading of the speech transcript, TV video coverage, or corporate media reporting. It is a given of corporatism that the US is unquestioningly not only great and good but the best of the best. Donald Trump would beg to differ, but he claims that he is making America great again. Yet this rings phony since Trump is skeptical about a connection between anthropogenic climate change and the increased incidence of catastrophic weather events. Fortunately, the United States has done very well since Election Day last November 8th. That is debatable. Nonetheless, there is nothing quite like self-aggrandizement… patting oneself on back in public and claiming credit for myriad allegedly positive events (as if stock market rises benefited the masses of Americans). And it has just been announced that we will be spending almost $700 billion on our military and defense. Is this something to boast about? How about boasting about building hospitals, low-cost housing projects to end homelessness, poverty reduction/elimination, and environmental remediation? Of course, if a non-allied nation were to dare and inordinately hike military spending, chances are the US would castigate such a nation. Trump proceeded to “address some of the very serious threats before us today…” Sheesh. Get real Trump. The people of the world recognize well that the USA is the number one threat to world peace. But each day also brings news of growing dangers that threaten everything we cherish and value. Terrorists and extremists have gathered strength and spread to every region of the planet. This calls into question how to characterize Trump? A moderate? Or an extremist? Is building a wall on the US-Mexican border moderate or extreme? Is thwarting people from Muslim majority countries from entering the US a moderate or extreme position? Is launching military strikes against Muslim majority countries like Syria and Yemen moderate? Can resorting to violence be anything but extreme? Is allying with a terrorist-sponsoring nation like Saudi Arabia or an overtly racist nation like Israel moderate? During his speech, Trump railed against rogue regimes, international criminal networks that traffic drugs (Trump wouldn’t be talking about the CIA, a major player in the international drug trade, would he?1 ), weapons (the US is a major exporter of weapons, illicit or otherwise), and the forced dislocation and mass migration of people (and what is the US but a nation state erected on the genocide and ethnic cleansing of the Indigenous nations of Turtle Island?). The key words, in italics: “should we choose.” Will the US ruling classes ever choose to share the wealth fairly and equitably? 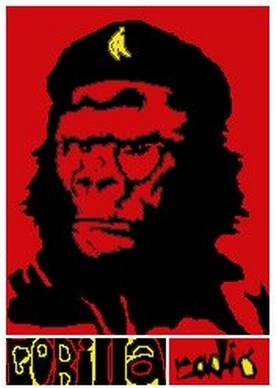 Or does it require a revolution to achieve dignity and fairness? The US might well learn from the Chinese how to accomplish ending poverty. The Chinese Communist Party has pledged to eliminate poverty by 2020. Trump notes that the United Nations was founded following two world wars to help shape a better future. The preamble to the UN Charter states that the institution is determined “to save succeeding generations from the scourge of war…” But the UN’s inability to curtail the violence of the US renders this aim nugatory. We do not expect diverse countries to share the same cultures, traditions, or even systems of government. But we do expect all nations to uphold these two core sovereign duties: to respect the interests of their own people and the rights of every other sovereign nation. And who determines this? The people of sovereign nations? The UN or the US? This is so risible. So the uninvited US military in Syria is not imposing on Syrians? President Assad made clear that the US troops are viewed as “invaders.” “Way of life” aside, is the US is not imposing in Yemen? Does the US not seek to impose on (or at least dictate to) Venezuela, Iran, and North Korea? Trump spoke to the greatest words in the United States Constitution: “We the people.” Is this spoken tongue-in-cheek or from ignorance? The constitution, derived from the Six Nation Confederacy’s Great Law of Peace, was promulgated by rich, white men. “We the people,” however, was not meant to include the Indigenous people, Blacks, women, or the toiling classes in anything approximating a meaningful sense. And contemporary US society continues to adduce this marginalization. Any gains made were by people resisting the system and making demands on the government. It is an eternal credit to the American character that even after we and our allies emerged victorious from the bloodiest war in history, we did not seek territorial expansion, or attempt to oppose and impose our way of life on others. Historian Jacques Pauwels wrote of the “uncontested fact that after the war [the US and Britain] would install or support dictatorial regimes in many countries…”3 Communism/socialism was to be prevented from growing or spreading.4 At the end of WWII, socialism was also to be prevented in Korea, and a dictatorship was installed in the south of Korea. He calls for a joint fight against “those who threaten us with chaos, turmoil, and terror”: “a small group of rogue regimes that violate every principle on which the United Nations is based.” Who are the rogue regimes? And what are the principles they violate? One assumes that it is implied that the US never violates any of these said principles. Does the US provide tuition-free university education, no-fee medical services, and housing for all its citizens? The DPRK does. It is responsible for the starvation deaths of millions of North Koreans, and for the imprisonment, torture, killing, and oppression of countless more. Second, the DPRK government performed admirably in mitigating the effects of crop failure, as attested to by the UN Food and Agricultural programme.6 Third, former president Jimmy Carter criticized the US government, and its South Korean ally, for human rights abuses in withholding food aid to North Korea. One also wonders where Trump gets off criticizing any other country for torture and incarceration given the recent US history in Bagram, Abu Ghraib, Guantanamo Bay, etc. As for killing? Who kills more than the US? And which countries exactly is it that DPRK is oppressing? Certainly not Syria, Yemen, Palestine, Libya, Iran, Venezuela, etc. This is inflammatory rhetoric. 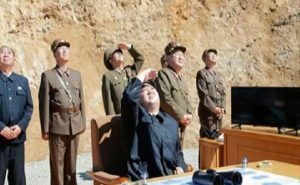 Every sane thinker realizes that DPRK will not initiate a nuclear strike. It has a no-first-use policy. The US does not have such a policy. So there is no threat from North Korea. It seeks a deterrence; especially given that the US is still at work with the DPRK and that the US is the only nation ever to have used nukes on civilian populations. But the US does not like being faced with a credible deterrent. If the US is so opposed to nuclear weapons and ICBMs, there is nothing to stop the US from denuclearizing. It seems most likely that every nuclear power would abide to concurrently denuclearize (although US ally Israel might throw a wrench in such a plan). Ah Trump, not the slightest pretense at diplomacy, even while speaking to world’s assembled diplomats. Yet, there is no call for the US to defend itself against a nation pledged to no-first use. It is time for North Korea to realize that the denuclearization is its only acceptable future. 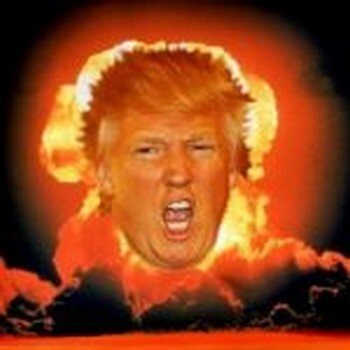 Denuclearization is the only sane future for all nation states. And disarmament is the future for a world dedicated to ending the scourge of war. The Iranian government masks a corrupt dictatorship behind the false guise of a democracy. Can it be that Trump considers the dictatorship of the Shah — imposed by the US, after the CIA engineered an overthrow of the elected government of Iran — was a genuine democracy? Ergo, Saudi Arabia is not an oppressive regime? Wahhabism is not Islamic extremism? The actions of the criminal regime of Bashar al-Assad, including the use of chemical weapons against his own citizens — even innocent children — shock the conscience of every decent person. 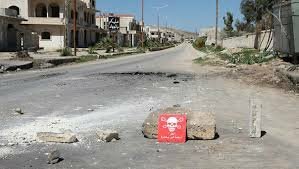 No society can be safe if banned chemical weapons are allowed to spread. That is why the United States carried out a missile strike on the airbase that launched the attack. The socialist dictatorship of Nicolas Maduro has inflicted terrible pain and suffering on the good people of that country. The problem in Venezuela is not that socialism has been poorly implemented, but that socialism has been faithfully implemented. From the Soviet Union to Cuba to Venezuela, wherever true socialism or communism has been adopted, it has delivered anguish and devastation and failure. Did the Indigenous peoples of Turtle Island not love where they lived? Did they love being dispossessed and swallowed by the European diaspora into the US? What about the Hawaiians? Did they not love living in their islands? Or the Puerto Ricans? Do they not love their country? Or the Chamorro people? Or how about the Chagossians who were forced from the Chagos archipelago and prevented from returning so the US could use it as a base of military operations. Or does love of one’s country only apply to Americans? Kim Petersen is a former co-editor of the Dissident Voice newsletter. He can be reached at: kimohp@gmail.com. Twitter: @kimpetersen. You may believe the golden age of spycraft passed with the end of the Cold War, or maybe even with Mata Hari's firing squad. But, what's old is gold again, and the game has never been more fully engaged. Whether fighting commies, evil-doers, drugs dealers, or pernicious foreign ideology we always seem to be at war with something! In fact, we're reminded of the fact so frequently, it's beginning to make me think the war going on isn't "out there" at all, but instead is raging inside our heads, making a virtual battlefield of our collective perceptions. Tom Secker is a UK-based private researcher, journalist, frequently featured commentator on security and intelligence issues, host of the popular podcast, ClandesTime, and principal behind spyculture.com, “the world’s premier online archive about government involvement in the entertainment industry.” He’s also co-author, with Matthew Alford of the recently released book, 'National Security Cinema: The Shocking New Evidence of Government Control in Hollywood'. Tom Secker in the first half. And; Donald Trump didn't disappoint at the UN this week. In an address that still has halls of power around the globe buzzing, the American president used the global bully pulpit to threaten fellow member-nation North Korea with utter destruction. A lapse of diplomatic etiquette and refutation of the Charter of the United Nations' founding purpose of promoting peace among nations to be sure, but what Mr. Trump, and most of those listening to his sabre-rattling are not aware of is; the United States "totally destroyed North Korea" once before. It's a salient fact not lost on the "depraved regime" being threatened again, and something the White House might consider when gauging just how Kim "Rocket Man" Jong Un may react. Tim Shorrock is a Washington, D.C.-based journalist, and author of the book, ‘Spies for Hire: The Secret World of Intelligence Outsourcing.’ His articles appear at his website, TimShorrock.com and at The Nation. Tim grew up in Asia, and spent much of the 1980’s in Japan, reporting on the financial intrigues of the then-biggest of the Asian Tiger economies. Tim Shorrock and taking the measure of the Trump administration's bombast from an Eastern perspective in the second half. And; Victoria activist and CFUV Radio broadcaster at-large, Janine Bandcroft will be here with the Left Coast Events Newsletter bulletin at the bottom of the hour. But first, Tom Secker and the clandestine war being fought between your ears. Rush transcript of President Trump’s full remarks. Mr. Secretary General, Mr. President, world leaders, and distinguished delegates, welcome to New York. It is a profound honor to stand here in my home city as a representative of the American people to address the people of the world. As millions of our citizens continue to suffer the effects of the devastating hurricanes that have struck our country, I want to begin by expressing my appreciation to every leader in this room who has offered assistance and aid. The American people are strong and resilient, and they will emerge from these hardships more determined than ever before. Fortunately, the United States has done very well since Election Day last November 8. The stock market is at an all-time high, a record. Unemployment is at its lowest level in 16 years, and because of our regulatory and other reforms, we have more people working in the United States today than ever before. Companies are moving back, creating job growth, the likes of which our country has not seen in a very long time, and it has just been announced that we will be spending almost $700 billion on our military and defense. Our military will soon be the strongest it has ever been. For more than 70 years, in times of war and peace, the leaders of nations, movements, and religions have stood before this assembly. Like them, I intend to address some of the very serious threats before us today, but also the enormous potential waiting to be unleashed. We live in a time of extraordinary opportunity. Breakthroughs in science, technology, and medicine are curing illnesses and solving problems that prior generations thought impossible to solve. But each day also brings news of growing dangers that threaten everything we cherish and value. Terrorists and extremists have gathered strength and spread to every region of the planet. Rogue regimes represented in this body not only support terror but threaten other nations and their own people with the most destructive weapons known to humanity. Authority and authoritarian powers seek to collapse the values, the systems, and alliances, that prevented conflict and tilted the word toward freedom since World War II. International criminal networks traffic drugs, weapons, people, force dislocation and mass migration, threaten our borders and new forms of aggression exploit technology to menace our citizens. To put it simply, we meet at a time of both immense promise and great peril. It is entirely up to us whether we lift the world to new heights or let it fall into a valley of disrepair. We have it in our power, should we so choose, to lift millions from poverty, to help our citizens realize their dreams, and to ensure that new generations of children are raised free from violence, hatred, and fear. This institution was founded in the aftermath of two world wars, to help shape this better future. It was based on the vision that diverse nations could cooperate to protect their sovereignty, preserve their security, and promote their prosperity. It was in the same period exactly 70 years ago that the United States developed the Marshall Plan to help restore Europe. Those these beautiful pillars, they are pillars of peace, sovereignty, security, and prosperity. The Marshall Plan was built on the noble idea that the whole world is safer when nations are strong, independent, and free. As president, Truman said in his message to Congress at that time, our support of European recovery is in full accord with our support of the United Nations. This is the beautiful vision of this institution, and this is the foundation for cooperation and success. Strong sovereign nations let diverse countries with different values, different cultures, and different dreams not just coexist, but work side by side on the basis of mutual respect. Strong sovereign nations let their people take ownership of the future and control their own destiny. And strong sovereign nations allow individuals to flourish in the fullness of the life intended by God. In America, we do not seek to impose our way of life on anyone, but rather to let it shine as an example for everyone to watch. This week gives our country a special reason to take pride in that example. We are celebrating the 230th anniversary of our beloved Constitution, the oldest constitution still in use in the world today. This timeless document has been the foundation of peace, prosperity, and freedom for the Americans and for countless millions around the globe whose own countries have found inspiration in its respect for human nature, human dignity, and the rule of law. The greatest in the United States Constitution is its first three beautiful words. They are "We the people." Generations of Americans have sacrificed to maintain the promise of those words, the promise of our country and of our great history. In America, the people govern, the people rule, and the people are sovereign. I was elected not to take power, but to give power to the American people where it belongs. In foreign affairs, we are renewing this founding principle of sovereignty. Our government's first duty is to its people, to our citizens, to serve their needs, to ensure their safety, to preserve their rights, and to defend their values. As president of the United States, I will always put America first. Just like you, as the leaders of your countries, will always and should always put your countries first. The United States will forever be a great friend to the world and especially to its allies. But we can no longer be taken advantage of or enter into a one-sided deal where the United States gets nothing in return. As long as I hold this office, I will defend America's interests above all else, but in fulfilling our obligations to our nations, we also realize that it's in everyone's interests to seek the future where all nations can be sovereign, prosperous, and secure. America does more than speak for the values expressed in the United Nations charter. Our citizens have paid the ultimate price to defend our freedom and the freedom of many nations represented in this great hall. America's devotion is measured on the battlefields where our young men and women have fought and sacrificed alongside of our allies. From the beaches of Europe to the deserts of the Middle East to the jungles of Asia, it is an eternal credit to the American character that even after we and our allies emerge victorious from the bloodiest war in history, we did not seek territorial expansion or attempt to oppose and impose our way of life on others. Instead, we helped build institutions such as this one to defend the sovereignty, security, and prosperity for all. For the diverse nations of the world, this is our hope. We want harmony and friendship, not conflict and strife. We are guided by outcomes, not ideologies. We have a policy of principled realism, rooted in shared goal, interests, and values. That realism forces us to confront the question facing every leader and nation in this room, it is a question we cannot escape or avoid. We will slide down the path of complacency, numb to the challenges, threats, and even wars that we face, or do we have enough strength and pride to confront those dangers today so that our citizens can enjoy peace and prosperity tomorrow. And just as the founders of this body intended, we must work together and confront together those who threatens us with chaos, turmoil, and terror. The score of our planet today is small regimes that violate every principle that the United Nations is based. They respect neither their own citizens nor the sovereign rights of their countries. If the righteous many do not confront the wicked few, then evil will triumph. When decent people and nations become bystanders to history, the forces of destruction only gather power and strength. No one has shown more contempt for other nations and for the well-being of their own people than the depraved regime in North Korea. It is responsible for the starvation deaths of millions of North Koreans. And for the imprisonment, torture, killing, and oppression of countless more. We were all witness to the regime's deadly abuse when an innocent American college student, Otto Warmbier, was returned to America, only to die a few days later. We saw it in the assassination of the dictator's brother, using banned nerve agents in an international airport. We know it kidnapped a sweet 13-year-old Japanese girl from a beach in her own country, to enslave her as a language tutor for North Korea's spies. If this is not twisted enough, now North Korea's reckless pursuit of nuclear weapons and ballistic missiles threatens the entire world with unthinkable loss of human life. It is an outrage that some nations would not only trade with such a regime, but would arm, supply, and financially support a country that imperils the world with nuclear conflict. No nation on Earth has an interest in seeing this band of criminals arm itself with nuclear weapons and missiles. The United States has great strength and patience, but if it is forced to defend itself or its allies, we will have no choice but to totally destroy North Korea. Rocket Man is on a suicide mission for himself and for his regime. The United States is ready, willing, and able, but hopefully this will not be necessary. That's what the United Nations is all about. That's what the United Nations is for. Let's see how they do. It is time for North Korea to realize that the denuclearization is its only acceptable future. The United Nations Security Council recently held two unanimous 15-0 votes adopting hard-hitting resolutions against North Korea, and I want to thank China and Russia for joining the vote to impose sanctions, along with all of the other members of the Security Council. Thank you to all involved. But we must do much more. It is time for all nations to work together to isolate the Kim regime until it ceases its hostile behavior. We face this decision not only in North Korea; it is far past time for the nations of the world to confront another reckless regime, one that speaks openly of mass murder, vowing death to America, destruction to Israel, and ruin for many leaders and nations in this room. The Iranian government masks a corrupt dictatorship behind the false guise of a democracy. It has turned a wealthy country, with a rich history and culture, into an economically depleted rogue state whose chief exports are violence, bloodshed, and chaos. The longest-suffering victims of Iran's leaders are, in fact, its own people. Rather than use its resources to improve Iranian live, its oil profits go to fund Hezbollah and other terrorists that kill innocent Muslims and attack their peaceful Arab and Israeli neighbors. This wealth, which rightly belongs to Iran's people, also goes to shore up Bashar al-Assad's dictatorship, fuel Yemen's civil war, and undermine peace throughout the entire Middle East. We cannot let a murderous regime continue these destabilizing activities while building dangerous missiles, and we cannot abide by an agreement if it provides cover for the eventual construction of a nuclear program. The Iran deal was one of the worst and most one-sided transactions the United States has ever entered into. Frankly, that deal is an embarrassment to the United States, and I don't think you've heard the last of it. Believe me. It is time for the entire world to join us in demanding that Iran's government end its pursuit of death and destruction. It is time for the regime to free all Americans and citizens of other nations that they have unjustly detained. Above all, Iran's government must stop supporting terrorists, begin serving its own people, and respect the sovereign rights of its neighbors. The entire world understands that the good people of Iran want change, and, other than the vast military power of the United States, that Iran's people are what their leaders fear the most. This is what causes the regime to restrict internet access, tear down satellite dishes, shoot unarmed student protesters, and imprison political reformers. Oppressive regimes cannot endure forever, and the day will come when the people will face a choice. Will they continue down the path of poverty, bloodshed, and terror, or will the Iranian people return to the nation's proud roots as a center of civilization, culture, and wealth, where their people can be happy and prosperous once again? The Iranian regime's support for terror is in stark contrast to the recent commitments of many of its neighbors to fight terrorism and halt its finance, and in Saudi Arabia early last year, I was greatly honored to address the leaders of more than 50 Arab and Muslim nations. We agreed that all responsible nations must work together to confront terrorists and the Islamic extremism that inspires them. We will stop radical islamic terrorism because we cannot allow it to tear up our nation and, indeed, to tear up the entire world. We must deny the terrorists safe haven, transit, funding, and any form of support for their vile and sinister ideology. We must drive them out of our nation. It is time to expose and hold responsible those countries whose support and fi — who support and finance terror groups like al-Qaeda, Hezbollah, the Taliban, and others that slaughter innocent people. The United States and our allies are working together throughout the Middle East to crush the loser terrorists and stop the reemergence of safe havens they use to launch attacks on all of our people. Last month I announced a new strategy for victory in the fight against this evil in Afghanistan. From now on, our security interests will dictate the length and scope of military operation, not arbitrary benchmarks and timetables set up by politicians. I have also totally changed the rules of engagement in our fight against the Taliban and other terrorist groups. In Syria and Iraq, we have made big gains toward lasting defeat of ISIS. In fact, our country has achieved more against ISIS in the last eight months than it has in many, many years combined. We seek the deescalation of the Syrian conflict, and a political solution that honors the will of the Syrian people. The actions of the criminal regime of Bashar al-Assad, including the use of chemical weapons against his own citizens, even innocent children, shock the conscience of every decent person. No society could be safe if banned chemical weapons are allowed to spread. That is why the United States carried out a missile strike on the airbase that launched the attack. We appreciate the efforts of the United Nations agencies that are providing vital humanitarian assistance in areas liberated from ISIS, and we especially thank Jordan, Turkey, and Lebanon for their role in hosting refugees from the Syrian conflict. The United States is a compassionate nation and has spent billions and billions of dollars in helping to support this effort. We seek an approach to refugee resettlement that is designed to help these horribly treated people and which enables their eventual return to their home countries to be part of the rebuilding process. For the cost of resettling one refugee in the United States, we can assist more than 10 in their home region. I want to salute the work of the United Nations in seeking to address the problems that cause people to flee from their home. The United Nations and African Union led peacekeeping missions to have invaluable contributions in stabilizing conflict in Africa. The United States continues to lead the world in humanitarian assistance, including famine prevention and relief, in South Sudan, Somalia, and northern Nigeria and Yemen. We have invested in better health and opportunity all over the world through programs like PEPFAR, which funds AIDS relief, the President’s Malaria Initiative, the Global Health Security Agenda, the Global Fund to End Modern Slavery, and the Women Entrepreneur's Finance Initiative, part of our commitment to empowering women all across the globe. We also thank — we also thank the secretary general for recognizing that the United Nations must reform if it is to be an effective partner in confronting threats to sovereignty, security, and prosperity. Too often the focus of this organization has not been on results, but on bureaucracy and process. In some cases, states that seek to subvert this institution's noble end have hijacked the very systems that are supposed to advance them. For example, it is a massive source of embarrassment to the United Nations that some governments with egregious human rights records sit on the UN Human Rights Council. In the meantime, we believe that no nation should have to bear a disproportionate share of the burden, militarily or financially. Nations of the world must take a greater role in promoting secure and prosperous societies in their own region. That is why in the Western Hemisphere the United States has stood against the corrupt, destabilizing regime in Cuba and embraced the enduring dream of the Cuban people to live in freedom. My administration recently announced that we will not lift sanctions on the Cuban government until it makes fundamental reforms. We have also imposed tough calibrated sanctions on the socialist Maduro regime in Venezuela, which has brought a once thriving nation to the brink of total collapse. The socialist dictatorship of Nicolás Maduro has inflicted terrible pain and suffering on the good people of that country. This corrupt regime destroyed a prosperous nation — prosperous nation, by imposing a failed ideology that has produced poverty and misery everywhere it has been tried. To make matters worse, Maduro has defied his own people, stealing power from their elected representatives, to preserve his disastrous rule. The Venezuelan people are starving, and their country is collapsing. Their democratic institutions are being destroyed. The situation is completely unacceptable, and we cannot stand by and watch. As a responsible neighbor and friend, we and all others have a goal — that goal is to help them regain their freedom, recover their country, and restore their democracy. I would like to thank leaders in this room for condemning the regime and providing vital support to the Venezuelan people. The United States has taken important steps to hold the regime accountable. We are prepared to take further action if the government of Venezuela persists on its path to impose authoritarian rule on the Venezuelan people. We are fortunate to have incredibly strong and healthy trade relationships with many of the Latin American countries gathered here today. Our economic bond forms a critical foundation for advancing peace and prosperity for all of our people and all of our neighbors. I ask every country represented here today to be prepared to do more to address this very real crisis. We call for the full restoration of democracy and political freedoms in Venezuela. The problem in Venezuela is not that socialism has been poorly implemented, but that socialism has been faithfully implemented. While America will pursue cooperation and commerce with other nations, we are renewing our commitment to the first duty of every government, the duty of our citizens. This bond is the source of America's strength and that of every responsible nation represented here today. If this organization is to have any hope of successfully confronting the challenges before us, it will depend, as President Truman said some 70 years ago, on the independent strength of its members. If we are to embrace the opportunities of the future and overcome the present dangers together, there can be no substantive for strong, sovereign, and independent nations, nations that are rooted in the histories and invested in their destiny, nations that seek allies to befriend, not enemies to conquer, and most important of all, nations that are home to men and women who are willing to sacrifice for their countries, their fellow citizens, and for all that is best in the human spirit. In remembering the great victory that led to this body's founding, we must never forget that those heroes who fought against evil, also fought for the nations that they love. Patriotism led the Poles to die to save Poland, the French to fight for a free France, and the Brits to stand strong for Britain. Today, if we do not invest ourselves, our hearts, our minds, and our nations, if we will not build strong families, safe communities, and healthy societies for ourselves, no one can do it for us. This is the ancient wish of every people and the deepest yearning that lives inside every sacred soul. So let this be our mission, and let this be our message to the world. We will fight together, sacrifice together, and stand together for peace, for freedom, for justice, for family, for humanity, and for the almighty God who made us all. Thank you, God bless you, God bless the nations of the world, and God bless the United States of America. Thank you very much. 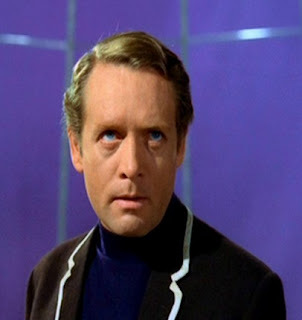 Revenge of the Village: Are We Not All Numbers? He wanted to get in touch with me and others “out there” because he was not sure how much longer free communication would be available to him and other out in the street protesting against the Spanish central government’s arrest of members of the Catalan Autonomous government. The Catalan President Puigdement has called and extraordinary meeting of his government. The president of the Catalan Parliament, Carme Forcadell has gone there to join him. At this moment, Puigdemont is currently in the Generalitat Palace, home of the Government meeting with his ministers. Crowds are outside in the Saint James square in the very heart of the city of Barcelona where both the Gneralitat and City Hall are located. People are lying down in the Via Laietana, a short walk away, one of the city’s main thoroughfares, in order to impede the Civil Guard’s ability to march upon government buildings. The Ex-president of Catalonia, Artur Mas has said flatly that the vote will go on. Joan Tarda, one of the representatives of the Catalan Left Republican Party in the Parliament in Madrid, has made a public appeal for calm. 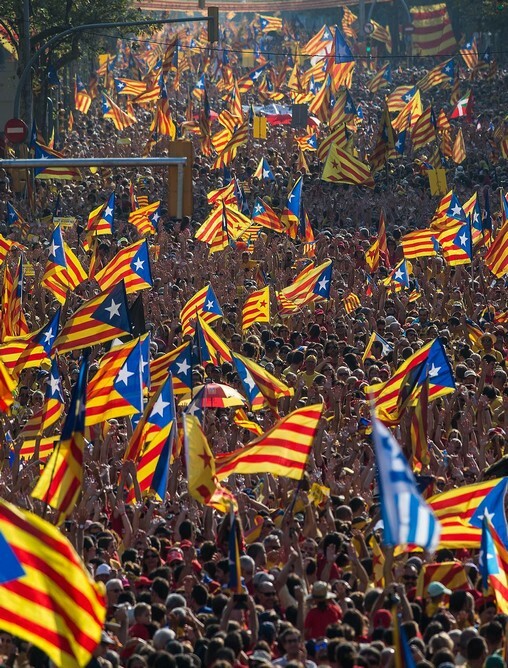 The Catalanist have received messages and protest of support from the Basque Country, where people have also taken to the streets, and Madrid itself, where a pro-democracy demonstration is currently taking place. The Barcelona Football Club has come out in favor of those seeking to vote on October 1st. On Saturday, I went to the New Cross Learning Centre — a community-run former library in New Cross — for a screening of ‘Dispossession: The Great Social Housing Swindle’, a new documentary about Britain’s housing crisis directed by Paul Sng, who is from New Cross (and is the director of ‘Sleaford Mods: Invisible Britain’). The screening was organised by the residents of the Achilles Street area, whose homes are threatened by Lewisham Council, which wants to knock them all down, and build shiny new replacements. The area affected runs between New Cross Road and Fordham Park (from south to north), and between Clifton Rise and Pagnell Street (from west to east), and there are 87 homes (with 33 leaseholders), and around 20 businesses (along New Cross Road and down Clifton Rise). This sounds reassuring, but the recent history of regeneration projects — both in London and elsewhere in the country — is that councils and developers lie to tenants and leaseholders, to get them to agree to regeneration under terms that are not then honoured. Instead, tenants are evicted and their homes demolished, and they never get to return, and leaseholders are offered derisory amounts for the homes that, ironically, they bought under Margaret Thatcher’s Right to Buy policy, which is insufficient for them to buy a replacement property in the area, leading to their exodus in addition to that of the former tenants. The recent history of this social cleansing programme is admirably documented in ‘Dispossession’, exposing what is, fundamentally, a scandal that has received far too little attention: the selling off to private developers of council estates — mostly deliberately run down over many years, or even decades, under a process of “managed decline” — on the basis that there is insufficient money to refurbish them to a decent standard. The developers, with the collusion of the councils, then knock them down, and build unaffordable new housing instead, resulting in the involuntary exile —- the social cleansing — of the former residents, who have to leave the area — even if, as often, they have lived there for decades, and, understandably, think of their homes as home — and often can no longer even afford to live in London. The film chronicles the template for dispossession that is well-known and well-documented to those paying attention — beginning with the destruction of the Heygate Estate in Southwark, and looking at Cressingham Gardens in Lambeth, the Balfron Tower in Poplar, and the Aylesbury Estate, also in Southwark, and also taking the story further afield — to Glasgow and Nottingham. The Heygate, near the centre of the Elephant & Castle, an estate of huge high-rise blocks surrounding lower-rise buildings and significant green space, was emptied of its occupants in the 2000s, and, for many years, was empty except for a handful of leaseholders clinging on, at which time it became a kind of post-apocalyptic urban jungle, a place of extraordinary silence, with performance spaces and vegetable gardens. Housing activists — via the extraordinary Southwark Notes website — have demonstrated how most of the Heygate’s 3,000 residents were dispersed across London, never to return, and there are other shocking statistics: Lendlease paid Southwark Council £55m for the Heygate Estate, and £40m for the Oakmayne and Tribeca site, also at the Elephant. The process of evicting and relocating tenants cost the council £65m, while refurbishment of the estate would have cost just £35m. Lendlease, meanwhile, stands to make a profit of £194m, while Southwark will make noting, although one doesn’t vine have to be cynical to notice a revolving door whereby former Southwark council housing employees end up getting jobs with the developers. In other revealing statistics, 1,034 homes were demolished on the Heygate Estate, and 2,704 are being built on its replacement, Elephant Park, but only 82 of those will be for social rent, generally set at 30% of market rents. This is genuinely affordable for a majority of workers, whereas what passes for “affordable” in the legislation approved in London by Boris Johnson when he was Mayor, is actually set at 80% of market rents, and is therefore completely unaffordable for most workers, because market rents in central London can easily be £500 a week for a couple. When the median income is less than £20,000, that can lead to people paying, as Oxford professor Danny Dorling says in the film, 50%, 60% or even 70% of their income in rent, when it should only be described as “affordable” if it is no more than a third. The film provides a background to the need for social housing, and points out that, after the Second World War, the Attlee government built 1m new homes, 80% of which were council houses, and 5m were then built in the decades that followed. The decline began under Margaret Thatcher, and her baleful legacy is clear: at the start of her premiership, 42% of people lived in social housing, now it is less than 8%, and 1.4m people are on waiting lists. Of the properties that were sold under Thatcher’s ‘Right to Buy’ policy, 2.2m were in private ownership by 1996, and the most unforgiveable aspect of Thatcher’s policy — which new Labour never repealed — was the prohibition on councils building any new homes. From Thatcher’s time onwards, some council housing ended up being transferred to the ownership and control of housing associations, a mix of private companies and charities, directed by legislation, who often did a good job. However, beginning under rNew Labour and most glaringly since 2010, under the Tories, cynical austerity cuts have forced them into becoming developers much more than being social housing providers, and a glaring example of that is at the Aylesbury Estate in Southwark. Failing to learn any lessons from the Heygate disaster — because the template of dispossession and private profit is the same for all developments — Southwark hooked up with Notting Hill Housing, which used to be a social housing provider, but is now one of many former social housing providers that have become aggressive private developers, to demolish the borough’s other huge estate, the Aylesbury, rather than refurbishing it, as would have been sensible after all the negative publicity surrounding the Heygate redevelopment. She has refused to move out of the estate until she receives the market rate for her home, which will enable her to buy an equivalent property in the area. The council’s initial offer for Robinson’s two-bedroom flat, was £65,000, which she rejected. Following a tribunal, the price was increased to £187,500, still short of her expectations. According to estate agents Foxtons, the average price of a two-bedroom property in Southwark is £884,648. Robinson is entitled to expect a like for like replacement property if she is forced to leave her home. Robinson has to be let in and out of the building by a guard day and night, and is a virtual prisoner in a home she bought from the council under the right to buy policy. In addition, the council have also stopped providing regular maintenance on the building (despite her still paying a service charge), meaning that the communal garden areas are untended and the lift and lighting are frequently not working for days on end. Such underhand tactics suggest that the council is attempting to intimidate Robinson into selling her flat, thus allowing them to continue with a £1.5bn redevelopment project. Both the Heygate and the Aylesbury estates are desirable because Southwark is so close to central London. Elsewhere, however, parkside and waterside locations are what the council and developers seize upon. It is no accident that Achilles Street is right next to New Cross’s only park, Fordham Park, just as it is no accident that, in Lambeth, the destruction of Cressingham Gardens, a well-designed, low-level estate that opened in the 1970s, is being aggressively sought by Lambeth Council, as it overlooks Brockwell Park from an elevated location. At Cressingham Gardens, all the subterfuge required to try to persuade the tenants and leaseholders of 306 homes to vote for their own death penalty failed. Just 4% were in favour. Residents describe it as “like living in a village,” and were well aware that they had been subjected to “managed decline.” The council decided to press ahead with its plans anyway, but the residents took them to court, and won — twice — although the council still refuses to give up. The latest corrupt manoeuvrings exposed by the film involve the creation by councils themselves of housing associations to handle the destruction of estates and their lucrative rebuilding. In Lambeth, the council’s chief social housing destroyer is Matthew Bennett, who has not set himself up as the head of Homes for Lambeth, the housing association responsible for rebuilding. And so, in a shocking demonstration of naked vested interests, Bennett will be approving the destruction of estates that he will then be in charge of redeveloping. At Cressingham Gardens, it has been demonstrated that the cost of destroying the estate is much greater than refurbishing it, as is generally true of all redevelopments. The film also looks briefly at Central Hill, an acclaimed estate in Crystal Palace, which is coveted by the council and developers because of its stunning views over London. The campaign to save Central Hill is ongoing, but is interesting not only because lovers of architecture are on board, but also because Architects for Social Housing, a wonderful organisation campaigning to save estates from destruction and to pursue refurbishment options instead, have produced unassailably sensible plans to refurbish the estate rather than proceed with its destruction. The film also looks at the underhand eviction of tenants from the Erno Goldfinger-designed Balfron Tower in Poplar, where artists were cynically engaged as a diversion — in a move that is known as artwashing — and touches briefly on other social cleansing programmes that are either underway or imminent. In Poplar, the destruction of Robin Hood Gardens (oh so close to Canary Wharf) is in the latter category, and in the former is the West Hendon Estate, which demonstrates another geographical draw for developers — it’s right next to a beautiful reservoir. Also of note is Woodberry Down in Hackney — also located by a beautiful reservoir — and in bringing the story up to date concerned readers need to check out Haringey’s plans to sell of all its housing stock to Lendlease, the destroyers of the Heygate Estate, in a £2bn deal that explicitly involves giving Lendlease approval for the destruction of entire estates, including Broadwater Farm and Northumberland Park, both in Tottenham. Readers should also check out the story of the West Kensington and Gibbs Green estates in west London, threatened with destruction as part of the huge – and hugely profitable – Earls Court redevelopment (which is subject to widespread criticism on a number of fronts), but primarily the message of the film, and of the experience of anyone paying attention in London, is that a full-scale assault on social housing is underway in almost every borough, which, if it is not stopped, might well lead to the social cleansing of up to a million people over the next 10 or 15 years. Moreover, as ASH never tires of explaining, the social cleansing cuts across party lines, as most of the dispossession in London is being conducted by Labour councils. I’ll let that sink in, and give you time to check out ASH’s list of estates under threat from Labour councils, whilst also adding that there are no saviours waiting in the wings. Despite getting elected because housing is Londoners’ number one concern, Sadiq Khan’s plans are worthless, and Jeremy Corbyn is permanently silent on the clearances conducted by his own party. It is up to us to fight back — and to build a movement that corrupt politicians and developers cannot ignore, and which, I hope, can continue to channel the justifiable anger that was felt in June when the contempt that politicians, developers,and housing officials feel for social tenants was most vividly felt as an inferno engulfed Grenfell Tower in North Kensington, killing at least 80 people, an inferno that was entirely preventable and that only happened because safety standards had been deliberately gutted in an effort to increase profits. Note: Check out the Achilles Street Stop And Listen Campaign website for information about how to contact councillors to oppose Lewisham’s plans, prior to a council meeting on October 4 at which residents fear the redevelopment plans will be approved. If you’re interested, please ask the campaigners to put you on their mailing list. And please also check out the Achilles fanzine, put together by Lilah Francis. And for a defence of London’s social housing in song, check out ‘London’ by my band The Four Fathers.